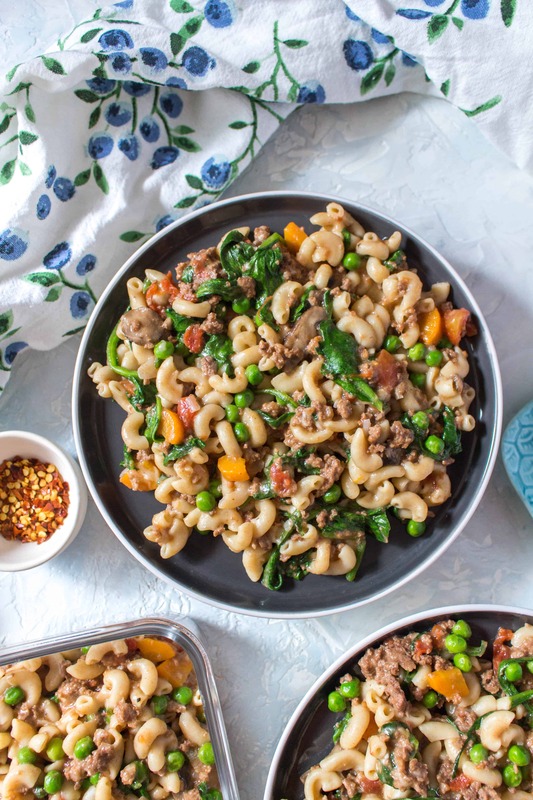 Looking for a delicious healthier homemade alternative to Hamburger Helper? 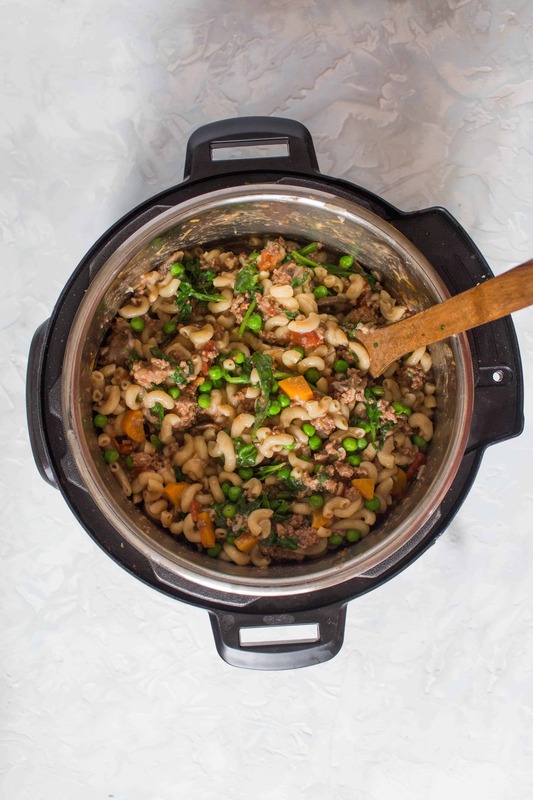 This Instant Pot Cheeseburger Pasta is a yummy one-pot recipe inspired by Hamburger Helper! 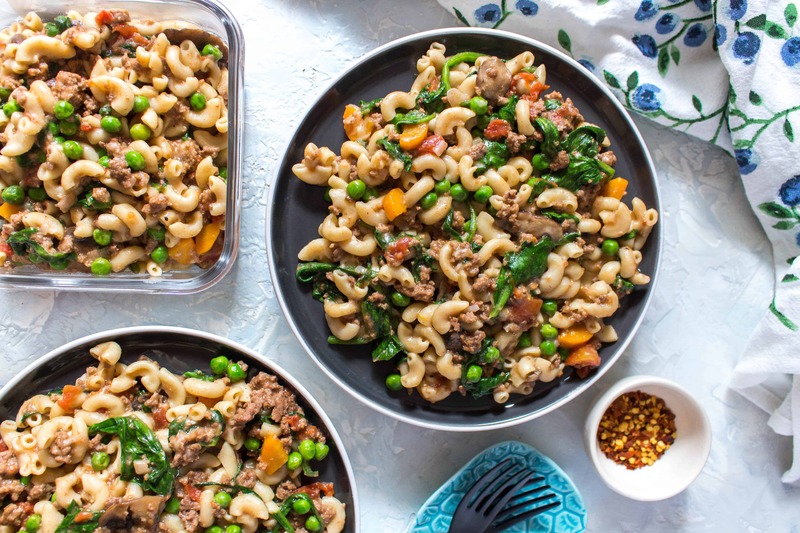 With some vegetables snuck in, this homemade hamburger helper will have you ditching that box! Non Instant Pot instructions included! 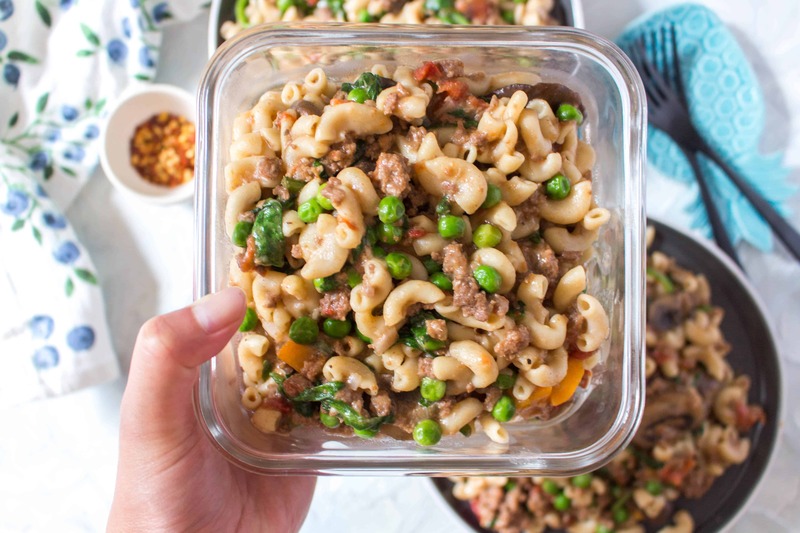 click here to pin this Instant Pot Cheeseburger Pasta for later! Are there days where you just wake up craving something meat-y and carb-y? The other day, I woke up wanted to put on one of my 10 grey cardigans, pull on some fuzzy socks, and eat a big bowl of comfort food of some sort. At first, I wanted a big greasy burger but I also wanted to make something that I could bring to work with me for a couple of days and so I thought – why not a cheeseburger pasta? My first thought was that classic box of hamburger helper and suddenly that was all I wanted. However, I wanted a healthier homemade hamburger helper instead because I wanted more wholesome ingredients. In my version of this homemade Hamburger Helper, I tried to up the nutritional value of it. I added carrots, peas, spinach, garlic and mushrooms. You could add more/different vegetables if you’d like but just be careful you don’t overfill your pot/pan. It is pretty easy to make as you kinda dump everything into the Instant Pot (with some browning) but you can also make this on the stove top as well. I used 1 lb of pasta along with 1 lb of beef so this is a good 6-7 servings of homemade Hamburger Helper. It all fits into my 6 Qt Instant Pot perfectly so I would avoid doubling the recipe or adding more pasta/beef unless you subtract something else to make up for it. Don’t know what an Instant Pot is? Read about what an Instant Pot is here. The last thing I put into my Instant Pot before sealing is the pasta. Putting the pasta on top helps prevent the burning message from popping up. Just make sure your pasta is touching the liquid underneath (that’s why I’m patting the pasta down gently in the video). I added my peas (frozen) into the dish after the Instant Pot has cooked everything under pressure to avoid the peas from getting too soggy. All I do is dig out a little bit of the pasta on top (see the video 1:23 mark) and pour the peas in there before giving it a big stir. Frozen peas really don’t take that much time to cook through so that stir was enough to cook it through. 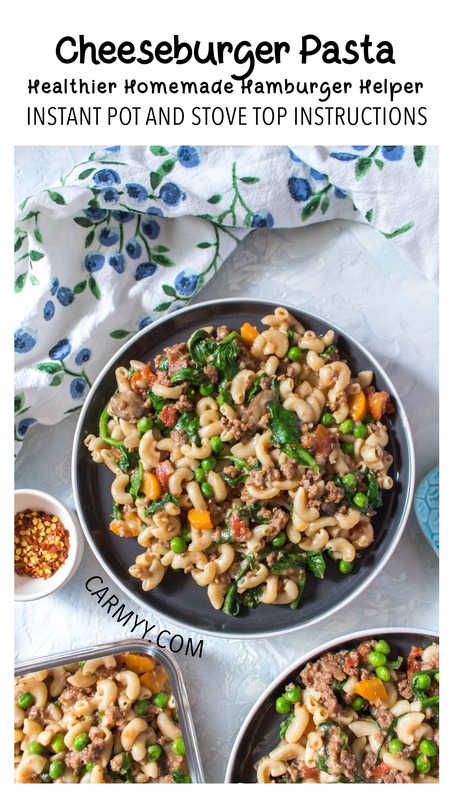 I do the same with the spinach, adding it after the rest of the Instant Pot Cheeseburger Pasta has been cooked so it doesn’t get mushy. Add as much or as little cheese as you’d like. I added a cup of sharp cheddar but I also added a handful of asiago cheese as well because I had some leftover in the fridge. I mean, can it be a cheeseburger pasta without cheese? To add some heat to this homemade Hamburger Helper, I sprinkled some chili flakes on top before serving. This is so if someone isn’t a fan of heat, they don’t have to worry about it being cooked in. I use shallots instead of onions because I wanted that extra hint of sweetness. You’re more than welcomed to just use an onion instead. On sauté mode on your Instant Pot, lightly brown your beef before adding the shallots, garlic, carrot, mushroom, and salt/pepper to taste. Add in your can of deiced tomatoes with its liquid and 2 cups of beef broth. Give it a good stir before adding your dry pasta on top. Do not mix. Gently pat down the pasta to make sure your pasta is touching the liquid. Add half a cup of water on top if needed. Put on your lid and seal your Instant Pot. Set it to 3 minutes under high pressure. Once it's done, quick release and open the lid. Carve out a little bit of pasta on the side and pour in the frozen peas there. Give it a good stir before combining the spinach and cheese. Serve with chili flakes on top if you're looking for some heat. In a large pot on medium-high heat, add the olive oil and beef. Lightly brown the beef before adding the shallots, garlic, carrot, mushroom, and salt/pepper to taste. Add in your can of diced tomatoes with its liquid and 2 cups of beef broth (more if necessary). Give it a good stir before adding your dry pasta. Give it a stir and then cover for 10-15 minutes (remove the cover to stir occasionally). Once the pasta is cooked through, stir in the frozen peas, spinach, and cheese. Serve with or without chili flakes on top. This is quintessential comfort food. I remember hamburger helper from when I was young — my mother would never buy it because it was “processed”. I know she’d appreciate your healthier (unprocessed) recipe. 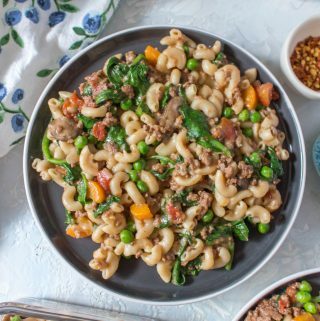 I don’t have an Instant Pot, so thank you for including instructions on how to make this amazing pasta dish without one! Oh my gosh I LOVE homemade versions of boxed favorites. And getting those veggies in, YES. I finally got an instant pot and have been collecting recipes to make with it- adding this to my list!!! Nostalgia right there in a pot! My mother was a HUGE fan of hamburger helper. Love the healthier version you’ve created here, and I’ve been looking for more recipes that use the insta pot. Putting this on the menu for this week. I’m SO excited about this recipe, Carmy! I’ve been looking for more meal-preppish stuff because we’re moving next week and we’ll be unpacking and settling in for the next few weeks, so aside from blog stuff, cooking regular ol’ dinners won’t be a priority. But takeout gets old fast. I love how healthy and filling this is. What a yummy looking dish!! Perfect for a weeknight dinner. 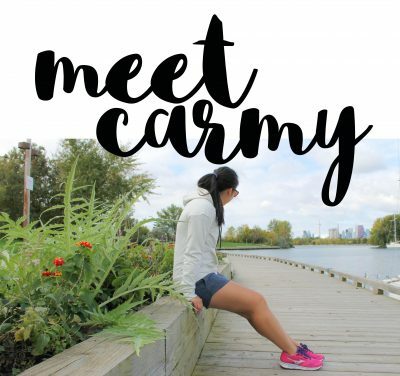 Just put all of the delicious ingredients in the Instant pot and go about your business. I remember the days of Hamburger Helper — I didn’t use them but I loved the convenience of them. You’ve made nutritious and tasty.